17. 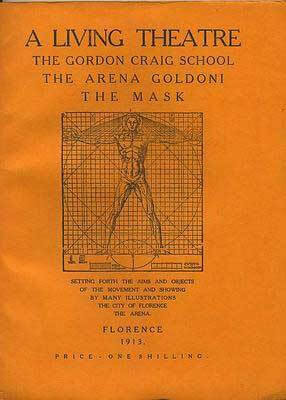 Craig, Edward Gordon and The Mask. 1905~29. For many years the most influential theorist of the theatre in Europe, and a defining force in Yeats’s ‘anti-theatre’, including its derivation of aesthetic principles from the nô. 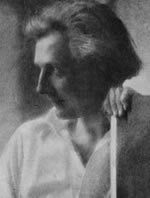 Edward Gordon Craig, photographed by Edward Steichen, ca. 1912. Image: . 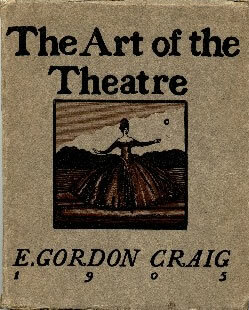 Craig’s conceptions of a ‘total’ theatre incorporating all the arts, with emphasis on symbolist set designs, masks, verse, and dance, are often related both by Craig himself and by others to principles derived from the classical theatre of Japan, particularly the nô. 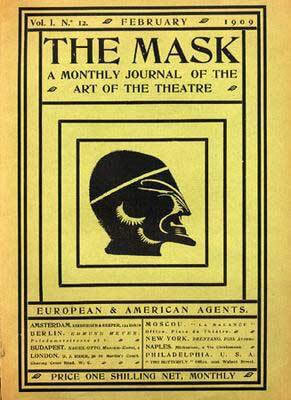 Craig outlined his theories in On the Art of the Theatre (London: Foulis, 1905) and later monographs, but his most important contributions in print come by way of his journal The Mask, which from its first year of publication in 1908 through 1926 (the last issue appeared in 1929) often turned directly to principles from Japan and the Japanese theatre. 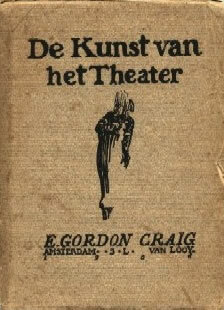 By the time the journal began Craig was the most influential theorist of the theatre in Europe, and the scriptures and dictates that appeared in its pages confirmed and extended his pre-eminence, most importantly in the context of this study as a defining force in the development of Yeats’s ‘anti-theatre’. After 1901 Yeats rarely writes of his own dramatic theories without invoking Craig, occasionally alongside discussion of the nô (see BL11 and BL58). Craig designed sets for productions of Yeats’s plays, virtually every issue of The Mask was in Yeats’s library (see BL228), and Yeats published in the journal himself, in one instance in 1910, three years before Pound brought Fenollosa to Stone Cottage, in an issue illustrated with drawings of characters and situations from the nô (see BL8 ). Critics have speculated at length about Yeats’s sources of information about Japan and Japanese drama before 1913, and several have pointed cautiously to Craig (see A37, A45, BL106, 201, 213, 244, and 257), but beyond the occasional note about the occasional article none have surveyed The Mask for what it has to say of Japan (see a below). 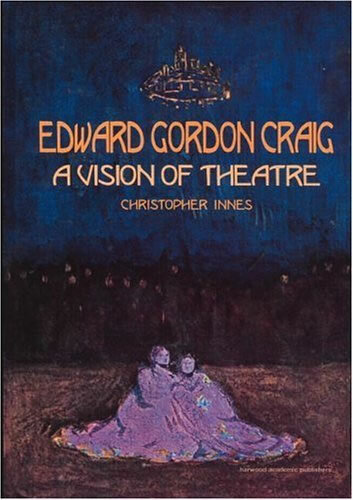 The most detailed studies of Craig are Edward Carrick’s Gordon Craig: The Story of His Life (London: Gollancz, 1968), Christopher Innes’s Edward Gordon Craig (BL213), and Innes’s Edward Gordon Craig: A Vision of the Theatre (Amsterdam: Harwood, 2004); the fullest account of the relation between Craig’s theories and the nô is Sang-Kyong Lee’s ‘Edward Gordon Craig und das japanische Theater’ (Deutsche Vierteljahrsschrift für Literaturwissenschaft und Geistesgeschichte 55/2 : 216-37). See BC16 and BC43 for notes about Craig’s relation with Binyon, BK17b for Pound’s equation of Craig’s theories with the nô (and see also BK88), and CB2 and D15e9 for Craig’s letters to Hartmann and Noguchi. 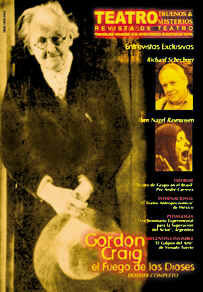 See also Lorelei Guidry’s introduction and index, The Mask Edited by Edward Gordon Craig (London: Blom, 1968); Ifan Kyrle Fletcher and Arnold Rood’s Edward Gordon Craig: A Bibliography (London: Society for Theatre Research, 1967); and A33, BL5, 8, 9, 48, 59, 107, 171, 190, 208, 219, 222, and 232.
a. Japanese subjects in The Mask, March 1908-January 1914. Works in later issues of the journal address Japanese subjects, including the nô, but those noted here precede, in most cases by years and at the least by several months, the earliest publication of material from Fenollosa’s nô manuscripts, and must all therefore be considered a part of the complex of knowledge about Japan and Japanese drama from which both Pound and Yeats worked. In addition to the texts noted several issues of the journal are illustrated with works of art representing the drama and dance of classical Japan. 1. Vol. 1 (1908). P. 21: a brief essay about the ‘subordinat[ion of] word to gesture’ in Japanese drama. 2. Vol. 3 (1910-11). Pp. 77-81: Yeats’s ‘Tragic Theatre’ (BL8); pp. 90-91: review of a study of Japanese dance that includes discussion of the nô, its ‘marked affinity’ with Greek drama (see also BK61 and D10b), ‘beautiful monotony’, ‘freedom from violent passion’, and ‘simplicity, symbolism and suggestion’; pp. 96-97: notes about the role of women and the traditional avoidance of imitative acting techniques on the Japanese stage; pp. 138: review that takes issue with the ‘hackneyed figures’ used for translation from Japanese verse in the Wisdom of the East series (see D18). 3. Vol. 4 (1911-12). Pp. 37-40: a brief passage from Hearn (D9) about the importance of silence in Japan, followed by an editorial by Craig calling for appreciation of silence on the European stage; pp. 58-59: review of Noguchi’s study of Hearn (see D9c); p. 64: review of History of Japanese Colour Prints, by W. von Seidlitz; p. 65: review of Binyon’s Japanese Art (BC6); pp. 108-09: notes taken from Hearn about the discipline of the ‘apprenticeship’ system in Japan and an editorial by Craig, under the pseudonym John Semar, calling for such discipline on the European stage; pp. 203-13: Masanobu Otani’s ‘A Japanese Pupil’, a loving memory of Hearn by his ‘literary assistant’, preceded by an editorial note calling for such dedicated discipleship in the West, followed by passages from Hearn about ‘Japanese Drama and the “Religion of Loyalty”’; pp. 309-20: Sheiko Tsubouchi’s ‘The Drama in Japan’, largely a summary of nô technique that reads as if Yeats wrote it four years later (see especially BL11); Tsubouchi emphasises the lack of ‘imitation’, the bare stage, masks, the climactic dance, the orchestra (with its ‘flute player’) and chorus, ‘ghosts or lost souls’ as protagonists, and includes notes about the ‘sacred’ origins of the form and the ‘symbolic beauty’ that the ‘vulgar’ were forbidden to see. 4. Vol. 6 (1913-14). Pp. 89-91: discussion and ultimately criticism of Japanese artists imitating European conventions and European artists imitating Japan; pp. 217-20: ‘Puppets in Japan: Some Notes by a Japanese’, knowledgeable notes about the bunraku, which again emphasise Japanese dramatic techniques that Yeats later echoes, including the ‘impersonal’ acting of puppets and their manipulators, who ‘efface themselves so that their faces are masks’, ‘obliterate all traces of personality’, and ‘vanquish the common desire of actors, in whatever part of the world they are to be found, to allow their own personality to dominate and to project themselves into the character they assume’ (compare to Yeats’s discussion of his problems with actors and their personalities in his 1916 ‘The Poet and the Actress’ [BL58], letters about rehearsals for AT THE HAWK’S WELL [in BL48], and his 1917 ‘Note on At the Hawk’s Well’ [BL12a]); pp. 238-44: editorial comment by Craig about a Japanese actress performing in England, providing occasion for notes about the ‘swindle’ of dramatic realism (compare Yeats’s earlier ‘Abbey Theatre—Its Aims and Works’ [BL7] and his 1916 Introduction to Certain Noble Plays of Japan [BL11]); pp. 263-65, review of Stopes’s Plays of Old Japan (see D23) that more than two years before the first performance of AT THE HAWK’S WELL (BL12) turns to ways the modern European theatre might adapt the nô: ‘We have nothing to gain, as some would claim, by a mere imitation of this or any other ancient form of drama, of its masks, its symbolism, its conventions, its costumes: it is rather in tracing the spirit of which these outward forms and accessories were the expression that we may find something of value, either as warning or encouragement, to aid us in shaping the masks, the symbols, and the laws of our own Theatre which is to be’.